Amazing - the first month of the year almost gone ! Apart from enjoying the sunshine here in Melbourne, and taking a good break over the Christmas and New Year period, we've been busy in the background working on some ideas and also getting ready to introduce some exciting new products to you all in 2014. 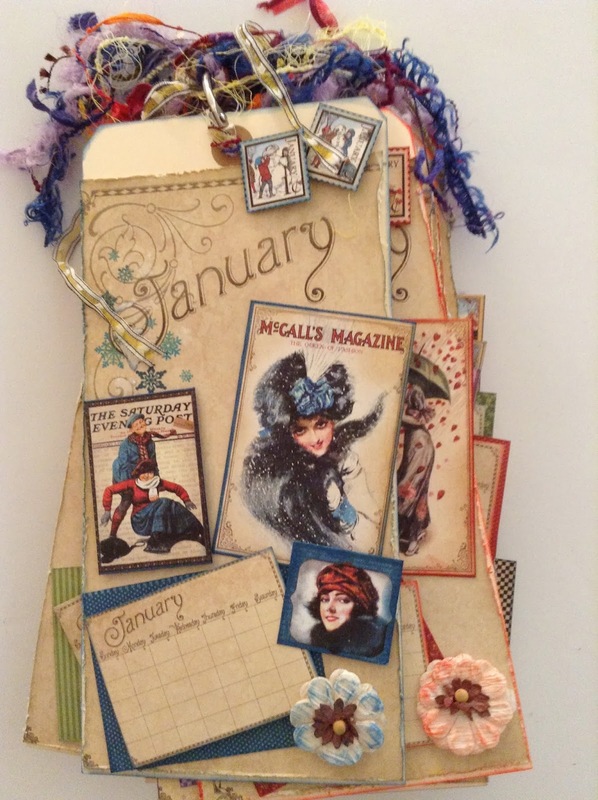 So - whether you are a scrapbooker, card maker, altered art and mixed media fan or an avid art journaler, you will find something you need at Crafters Cupboard. Our Design Team have also been busy over the break and we have some great projects to bring to you in the coming weeks which will be fun to try. A cute tag calendar to make and help you remember all those birthdays ! So, without further ado, here's Holly walkthrough on the project …. 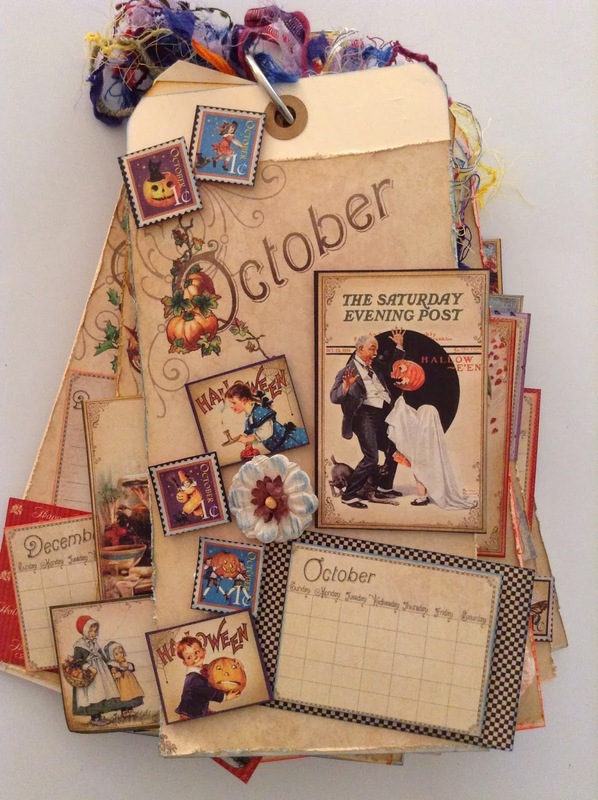 This is a beautiful tag calendar that can be used to remember everyone's birthdays. 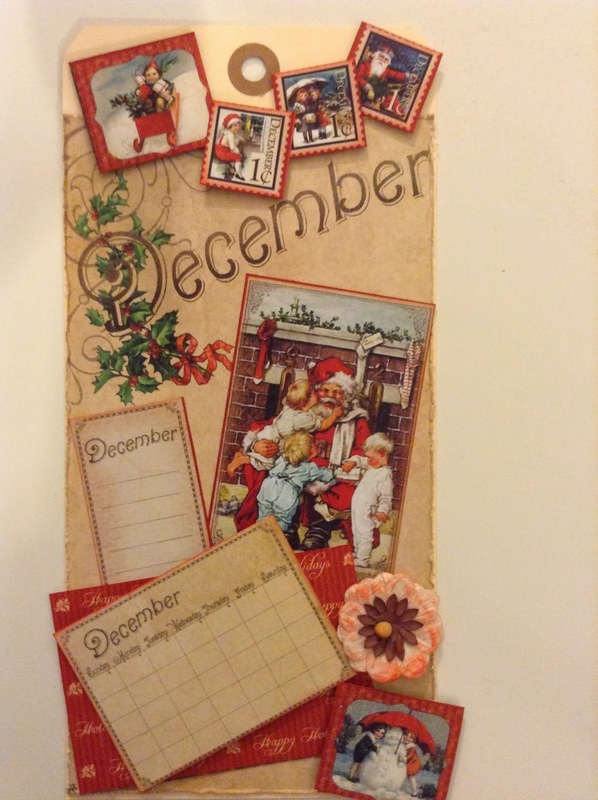 There is a calendar on the front of each tag and plenty of space on the back to jot down important dates. It is free standing and decorated using the gorgeous graphic 45 "A Place in Time "papers which you can purchase at Crafters Cupboard, along with the other materials I've used. 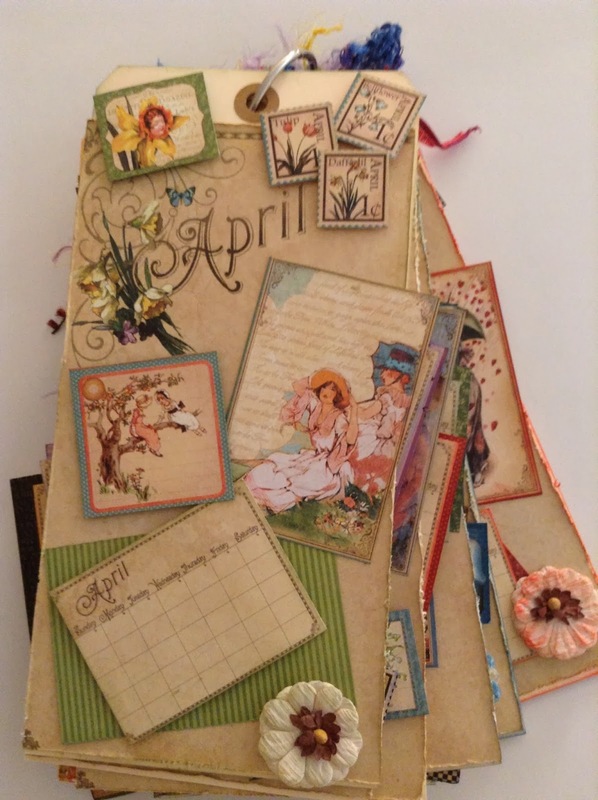 Cut down each of the 12 month pages, distress and ink the pages using antique linen distress ink. There is a page of cut outs for each month. I have chosen to use a couple of larger pictures, a piece of the background papers and some of the small stamps on each page. Each piece I have inked in a co-ordinating distress ink and then used magic mount to create height and different layers on each tag. I have finished each tag by Inking the flower using my blending tool and the co-ordinating distress ink and then edging the whole tag. And here it is, the final Month of the Year, staring us in the face already. I hope you have enjoyed the Birthday Tag project - a quick, easy and fun little project to make for yourself, or as a gift. Holly - thank you for sharing this great little tag book idea with us and I hope all our readers have been inspired to make one, either using the Graphic 45 papers, or similar. Until then, Happy Crafting everyone !